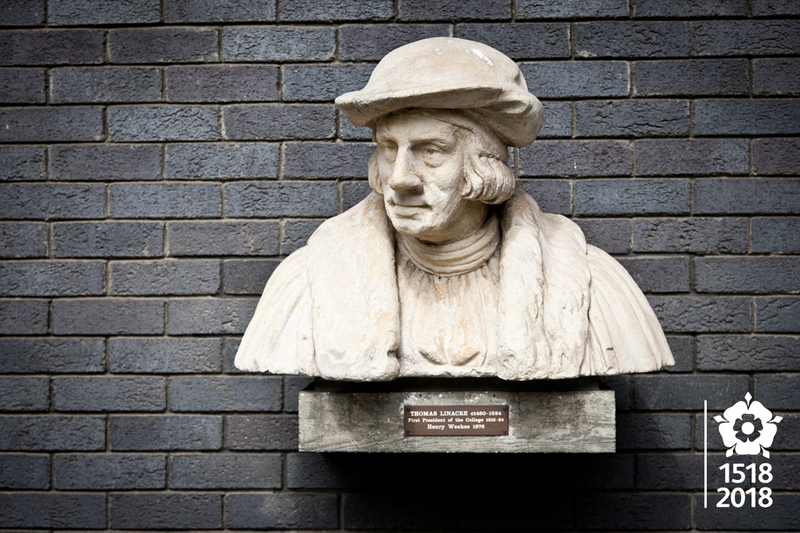 In 2018 the Royal College of Physicians (RCP) celebrates the 500th anniversary of its founding. To honour the achievements of 500 years of medicine, and to create a lasting legacy for the future, we are asking you to contribute to a fundraising appeal by adding your name to our new Linacre Wall. The Linacre Wall will have pride of place in our Grade I listed Regent’s Park home, with the aim of inspiring today’s RCP fellows, members and other supporters to continue Thomas Linacre’s mission of ‘giving health’ to the world – and to leave their mark on this great institution through a permanent, physical monument. All those who donate £1,518 or more to the appeal will be invited to have their name – or that of a loved one or esteemed colleague – permanently inscribed on the wall. More importantly, donors will know that they are making an enduring impact on the physicians, patients and medical profession of the future. Donations can be made in one lump sum or by pledging to give as little as £42.17 per month for 36 months. Choosing to spread the cost will not delay the addition of your chosen inscription to the Linacre Wall. The Linacre Wall will grow over time in support of the RCP’s charitable objectives. Names will be unveiled in annual sections – with all pledges received by 31 December included in the listing for that year. We look forward to inviting donors and their guests to attend the unveiling of their inscriptions for many years to come. Please complete the donation form today, or contact our Development Office for more information.